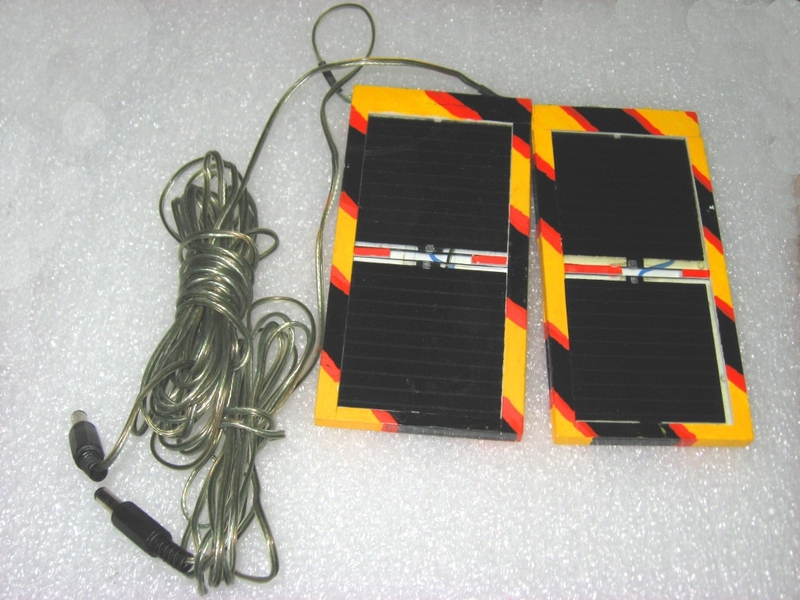 Power for the emergency radio kit is provided almost solely by solar panels. Since the ATS3-B can use voltages as low as 6V, it lends itself well to rechargeable battery packs. Specifically, I use either of two different 6-cell NiHM pattery packs. One of these packs is built into the kit carrying case with two external Power-Pole sockets for charging or running a rig. 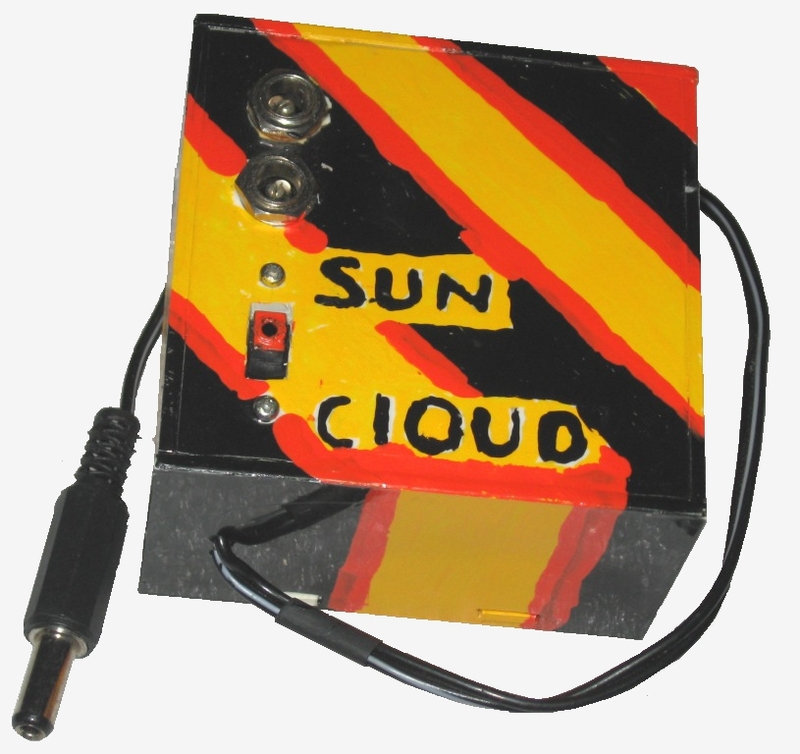 The other is completely external to the kit and can be placed anywhere in relation to it. Thus, I can run off one pack while charging the other and then switch when necessary. 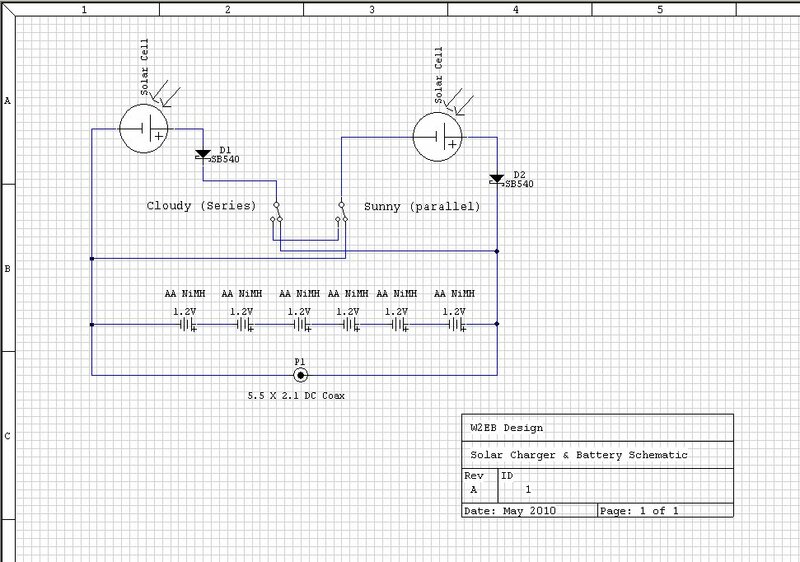 This battery pack contains everything in the schematic below except the actual panels. It switches the two 9V panels in series for low-light conditions, while placing them in parallel for high light conditions. The pack itself contains 6 "AA" NiMH batteries to provide a nominal 7.2V output at 2000maH. The schematics for either pack are nearly the same except where the diodes are physically located: in the built-in pack, they're in the panels, and in the portable pack they're in the battery pack. The commercial solar panels that feed the internal battery pack were from Harbor Freight, but are now discontinued. The solar panels that feed the external battery pack consist of two each 4.5V mini-cells from BG Micro encased in ABS plastic from a local hobby shop. They can put out enough current to charge a 7.2V battery pack quickly.